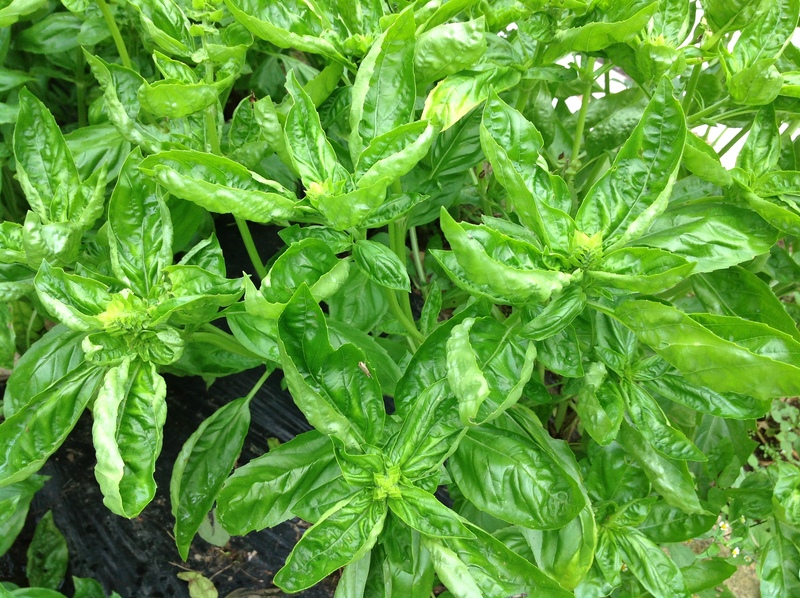 This basil is just begging to be made into a nice batch of pesto. This is a big week for plum tomatoes. They make a yummy sauce. To encourage some sauce making, I’m running a tomato special this week. Purchase two pounds of tomatoes (any kind) at the regular price, then any more are half-price.